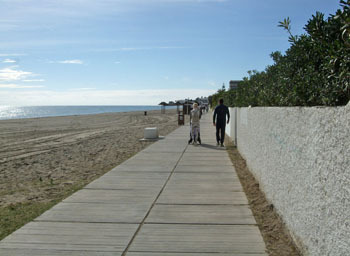 La Cala de Mijas lies on the Costa del Sol, a short distance on the coastal highway to both Fuengirola and Marbella. 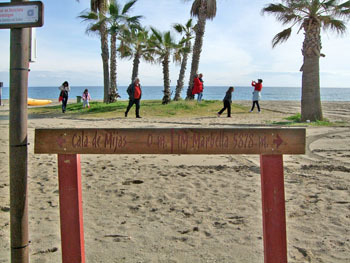 Originally a small, traditional Andalusian white village, this small fishing town has spread its wings in recent years to become one of the most popular seaside resorts on the Costa del Sol. 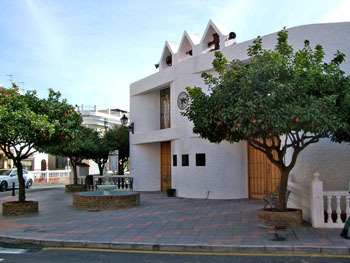 Back in the 1960s, when the tourist boom first hit the Costa del Sol, La Cala, as the town is affectionately known, consisted of around 30 fishermen’s cottages, one or two bars, an open-air summer cinema and a few shops. Things have definitely changed since then. 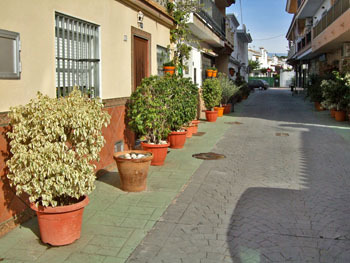 While the original village is pretty much intact, with beautifully maintained narrow streets, lined with plants and flowers, La Cala has extended outward and across the highway to offer many shopping options. Here can be found the popular Aldi and Lidl supermarkets, as well as the more Spanish retail outlets, like Supersol and Mercadona. 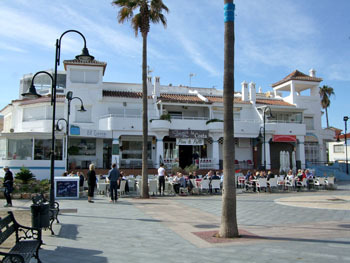 The centre also has a range of bakeries, fish shops and butcheries, clothing and shoe shops. For smokers, there is an “estanco” or tobacco shop right in the centre, offering all the popular brands. If wishing to pay by credit card, however, please note the shop will only accept cards for a minimum 5 packs of cigarettes. 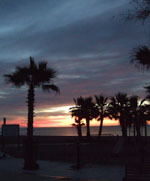 Behind the town, a range of hotels and resorts offer a spa experience, access to golf and more. 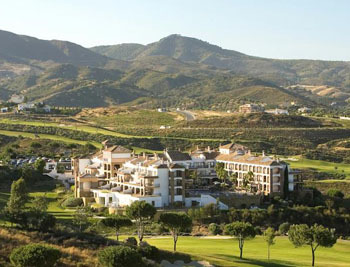 The golf courses at Santana Golf, El Chaparral and La Cala and Mijas Golf offer a great golf experience to non-members and equipment is available for hire. Other sporting facilities are available, including the tennis club “Club del Sol” and a Lawn Bowls centre close by at Miraflores. 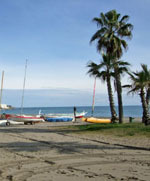 Water sports are available along the coastline. On the beach itself, the VIK Gran Hotel Costa del Sol enjoys sea views over Playa la Butibamba, a short walk from the town centre. 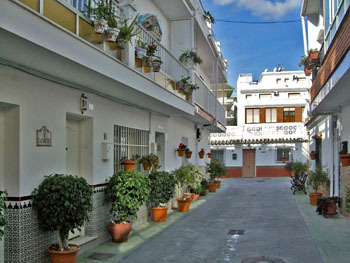 For those wishing to be more independent, many new apartment blocks have sprung up all around the area, offering holiday rentals to suit every pocket and there are numerous townhouses and villas available for self-catering holidays in the town. All the major supermarkets are a few minutes’ walk away and a variety of German, French and English daily newspapers are on offer in the local news agents every morning before breakfast. A variety of money exchange outlets are also available with ATMs to draw using your card with reasonable charges. 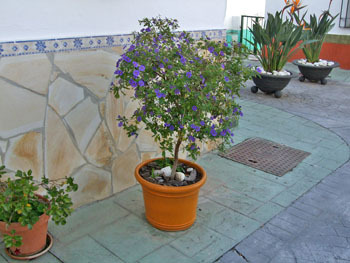 There are also a couple of internet cafes available in town to keep up with your email. 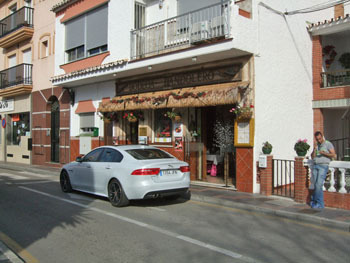 There are plenty of restaurants and bars in town, where it is possible to enjoy the traditional Spanish cuisine and the freshest fish dishes. However there is also a range of international cuisine on offer, including Indian, Thai, French, Chinese and Italian eateries. The good old English breakfast is also available in several outlets and there are several English and Irish pubs around town. 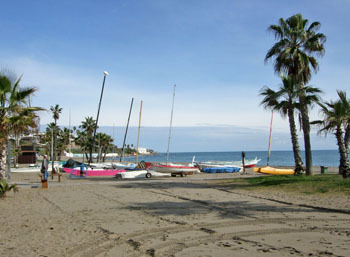 Of particular note is the Blue Flag beach of La Cala, easily accessible from the centre of town. 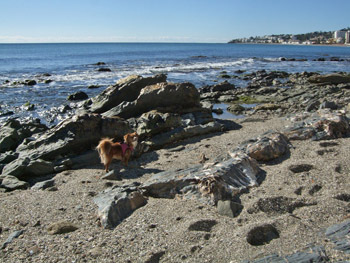 To the left, enjoy a narrow, rocky beach, while to the right of town a boardwalk has been laid, taking visitors from the centre of La Cala on an almost 6 km walk all the way to Marbella. Beautifully maintained throughout the year, the beach is lined with traditional chiringuitos (beach restaurants and bars), giving the opportunity to refresh after a long walk in the fresh sea air. The sea floor in the area is of ecological importance and is home to a rich biodiversity, with many European, African, Atlantic and Mediterranean species co-existing there. Please bear this in mind when visiting the beach and be sure to pick up all plastic and other rubbish before leaving. 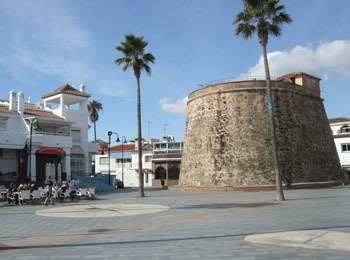 For a taste of the past, visit the tower in the centre of town, close to the beach. 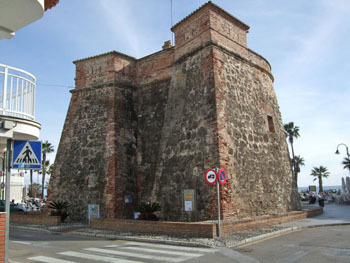 The “Torre Batería de La Cala del Moral,” as it is named in full, is an interesting visit. For a small fee you can enter and explore the tower and learn more about its history as a defensive position on the coast. 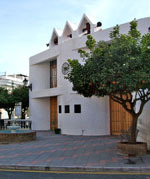 The restored tower has become the headquarters of the Centre of Interpretation of the Watch Towers of the Historical-Ethnological Museum of Mijas. 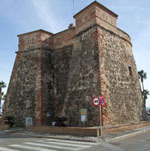 The tower is one of four, strategically placed along the Mediterranean coast, to warn of enemy ships arriving, as this is one of the sites where the Berbers attacked.